Where Did the Rider-Waite-Smith Tarot Originate? The origins of the Rider-Waite-Smith tarot have been puzzling people for hundreds of years. The foremost experts in the tarot field, such as Eden Gray, Rachel Pollack, and Mary K. Greer, have also extensively researched the history of the Rider-Waite-Smith Tarot Deck. Many knew that Gypsies could read regular playing cards and reveal information from those. Rachel Pollack discovered a book titled The Mystical Origin of the Tarot by Paul Huson, which claimed that reading tarot was a parlor game in Italy as far back as 1500. His research reveals that friends would each draw one card, and make up a bit of a story based on the card they drew. The next person in the circle would do the same, and so on. But the latest information comes from Rachel Pollack, in her newly published book, The New Tarot Handbook. 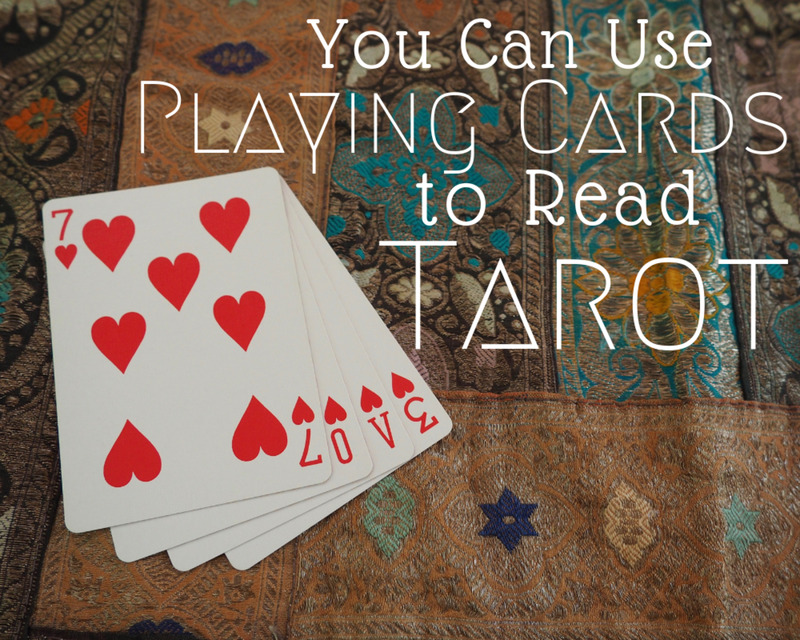 Just when one thinks they have learned all the tarot has to teach, there is still more to be learned! Ordinary decks of playing cards came to Europe from North Africa, likely from the Crusaders, and not the Gypsies, near the end of the 14th century. The earliest known tarot decks did not appear until around 50 years later, in Milan or Ferrara, Italy. What Is a Tarot Deck? What exactly is a tarot deck anyway? 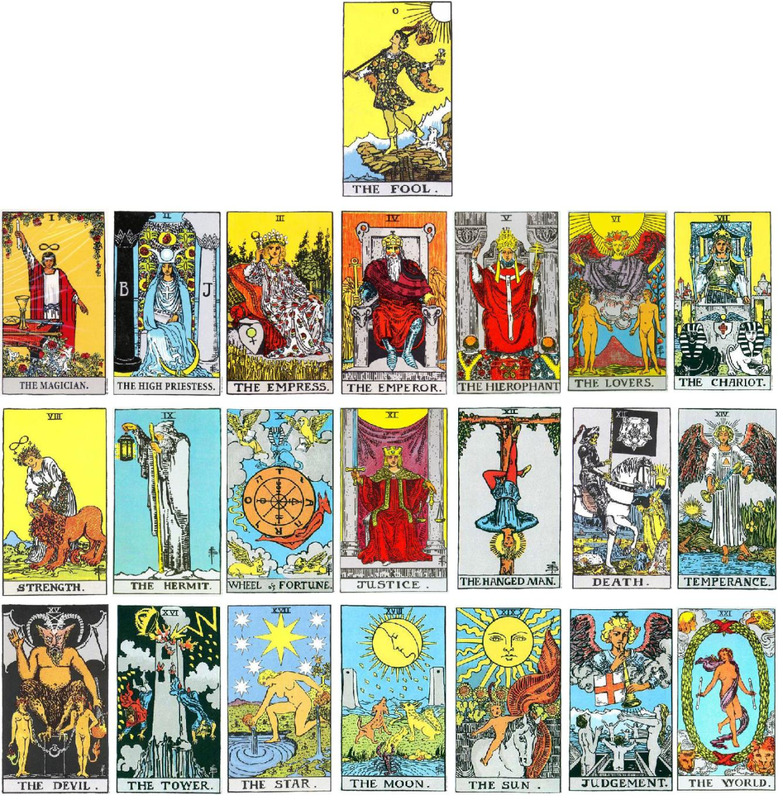 A complete tarot deck consists of 78 cards. The Major Arcana, (Arcana is Latin for “secret”), or Soul cards, consist of 22 pictured cards, the number of letters in the Hebrew alphabet. So the symbolism in the tarot has also been linked to the Kabbalah, a tradition that began in Judaism. The people treated the Hebrew letters as sacred, as they were believed to have been part of the creation of the universe. The Kabbalah’s most sacred text, the Sefer Yetsirah, teaches that the world was created with ten numbers and twenty two letters. This is an interesting synchronicity, since the cards in the Major Arcana number twenty-two, and each of the four suits, or elements, in the tarot’s Minor Arcana, earth, air, fire and water, have ten numbered cards, like the ten sephiroth of the Tree of Life. Each suit consists of ace-ten, plus four court cards, normally a Page, Knight, Queen and King, though this varies in other decks. 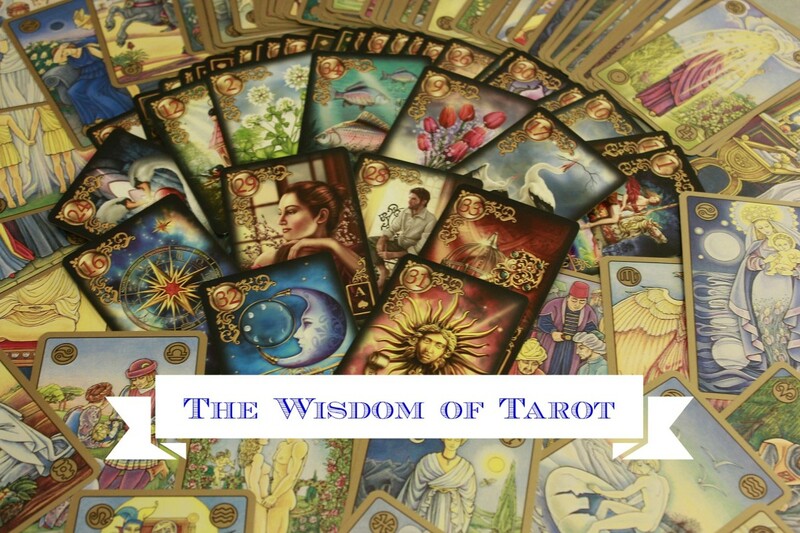 Many believe that the tarot is used as a means of fortune telling, but in our times it is often used as a reflective tool to help us understand ourselves better. That is this author's goal as a tarot reader. Many of the cards have symbolism that is explained by Carl Jung in Man and His Symbols, and are also the archetypes he used to describe the personalities in the court cards. So the tarot not only has an occult meaning, but also a spiritual interpretation. When people hear the word “occult,” they conjure up images of people sticking pins in voodoo dolls, devil worship, and the like. But occult is just another word for metaphysical, meaning “what is hidden” or “to know”. It is believed that the subconscious mind “chooses” the cards that one draws, so they will bring attention to a matter that has been ignored, or needs to be focused on, to improve the life of the querent, or person having the tarot reading. So in this case, the tarot card becomes a tool for self-reflection and meditation, not a means of fortune telling. Many accept Carl Jung’s idea of basic spiritual archetypes built into the human mind, and say people unconsciously tap into hidden wells of knowledge, then imagine conscious connections. Two French Freemasons, Antoine Court de Gebelin and Count de Mellet published essays on the tarot in 1781, and outlined a system of ideas and symbols that created a tarot based on Egyptian teachings, and the 22 letters of the Hebrew alphabet, believed to have mystical meanings. This idea is carried further, if your study of tarot brings you to the Kabbalah, which it will if you continue onward. Many different ideas have circulated about the tarot, and even today people believe the tarot contains secret truths. The tarot soon became a mixture of Christian Mysticism, Pagan gods, astrology, and rituals, put together by a secret society of people who studied all these disciplines so they could become magicians, who called themselves the Hermetic Order of the Golden Dawn. The Golden Dawn Tarot Deck has 78 cards, with pictures on the Major Arcana, but just the number of Wands, Swords, Cups and Pentacles on the pip cards, without pictures. It is believed these cards were meant for meditation. Two members of the Golden Dawn split away from the others, Arthur Waite, and Pamela Colman Smith, who is the original artist who drew pictures on all of the cards. 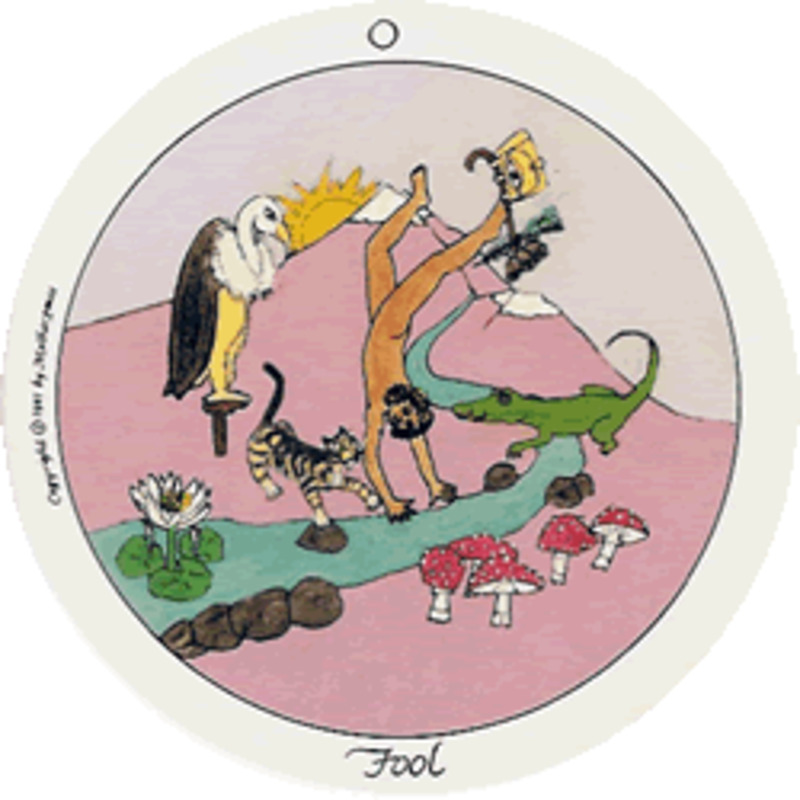 Prior to this, the Major Arcana’s 22 cards had pictures (something Eden Gray first coined as The Fool’s Journey). Ms. Colman worked from a short list of Arthur Waite’s ideas of what the cards should represent, but had psychic sensitivities and artistic talent, combined with her own ideas of what the cards should look like. Tarot decks could never have remained popular and loved for so many years without Colman’s wonderful contribution, yet the deck is still referred to by many as the Rider Deck, The Rider-Waite Deck, or the Universal Rider Deck. A William Rider first published the deck in London in 1909, and that is how his name got on it. Stoker, and two of her own books, Widdicombe Fair and Fair Vanity. Colman returned to England in 1899, became a theatrical designer, and continued her work as an illustrator. The theatre group led by Ellen Terry took Pamela under their wing, and she traveled around the country with Henry Irving and Bram Stoker, working on costumes and stage design. 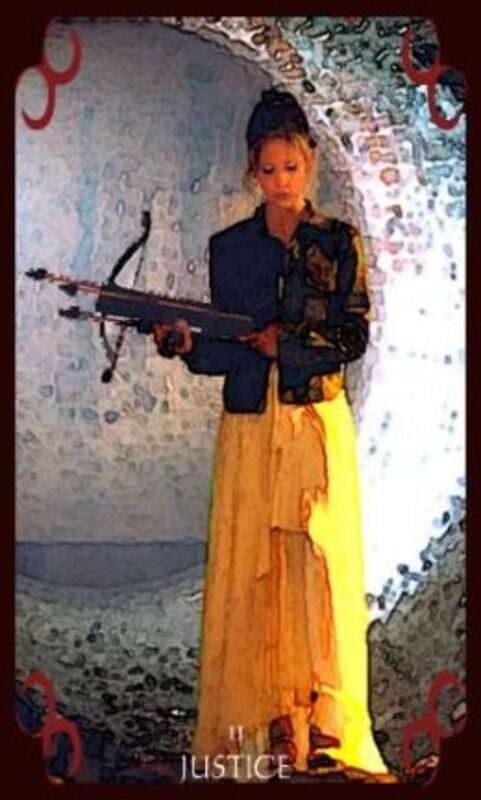 She began to be called “Pixie” as she traveled with this artistic crowd. She also wrote and illustrated Jamaican Folklore, Annancy Stories, tales involving traditional African folk figure Anansi the Spider. She continued to take on illustration projects for William Butler Yeats, his brother, painter Jack Yeats, and Bram Stoker’s last novel, The Lair of the White Worm, in 1911. Pixie also contributed artwork to further the women’s suffrage movement in Great Britain. Colman was talented enough to have 3 gallery showings of her own paintings in New York at Alfred Stieglitz’s Gallery 291. She was able to paint while listening to music, and would paint visions which just “came to her.” Her shows were successful, and 22 of her paintings are now in the Stiegliz/Georgia O’Keefe archive at Yale University. It was Yeats who introduced Smith to the Hermetic Order of the Golden Dawn. 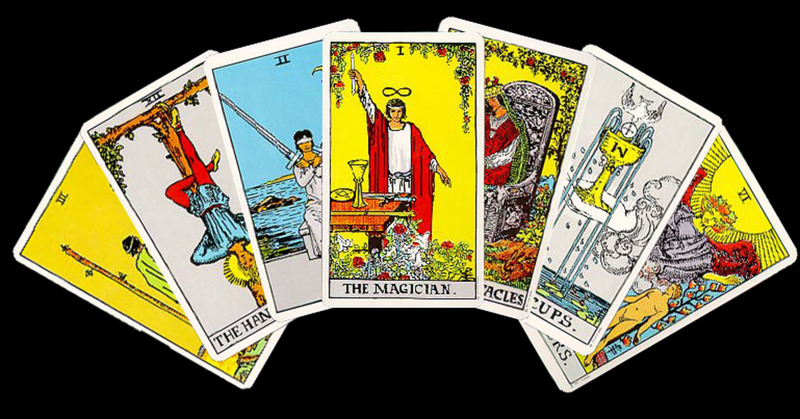 The first tarot deck published by Rider was in England, simply called Tarot Cards. It was sold with a pamphlet entitled Key to the Tarot written by Arthur Waite. Colman’s black and white drawings were later added to the book and it was called the Pictorial Key to the Tarot. 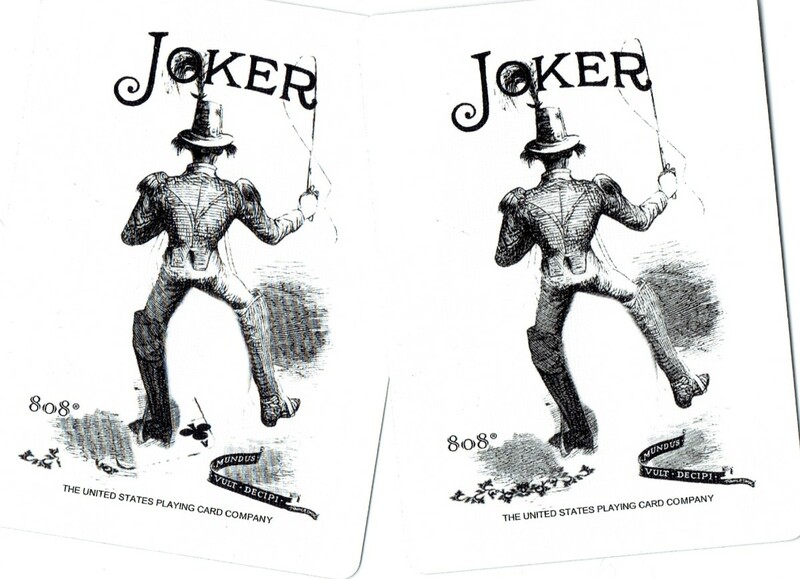 U.S. Games bought publishing rights to the deck in 1971, and called it The Rider Tarot Deck. There were differences in the U.S. and the U.K. regarding copyright law, and the extent of the copyright was disputed, but this writer believes the deck is now available in Europe since 2012. Although Pamela Colman Smith added her beautiful illustrations, it took until this day to finally have her work acknowledged and to have the deck finally referred to as the Rider Waite Smith Tarot. Things have changed much in the century since the first deck came onto the market. Dozens of other publishers put out their own editions, and some redrew Smith’s drawings. Many of the cards have been redrawn by other artists, some to create new printing plates, others to take advantage of new technologies to add color to the cards. There were limitations to the colors at the time Pamela Colman Smith drew them. Waite is normally cited as the designer of the Waite-Smith Tarot, but he should only be considered half of a team. He had the concept, a structure of the original cards, but was not an artist himself, and the talented and intuitive Smith added so much to the deck. She is solely responsible for the images on the 56 Minor Arcana cards. 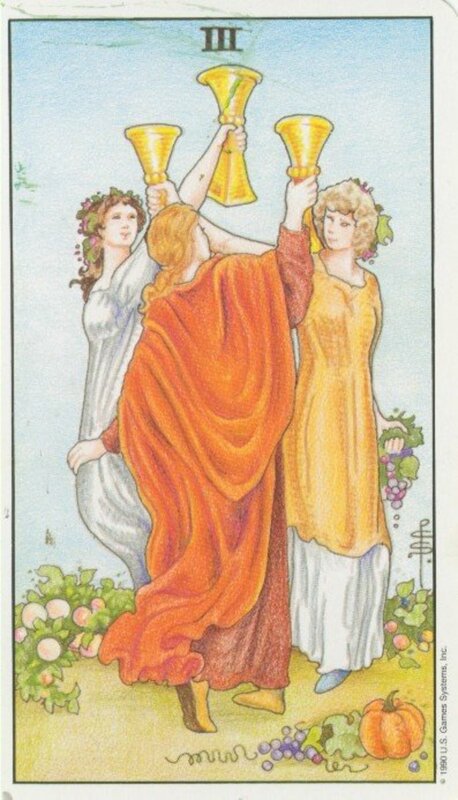 Smith's Illustrations Make Tarot Readings Much Easier! Pamela Colman Smith completed the artwork between April and October of 1909. This is a short time to draw 78 incredibly detailed pictures! The originals were probably done in pen and ink, then colored with watercolor by Smith. This writer has a deck which is about 30 years old, and the captions or names of each individual card is still written in Pixie's original handwritten font in that deck. Now the font has been changed to a less creative but more easily read one. 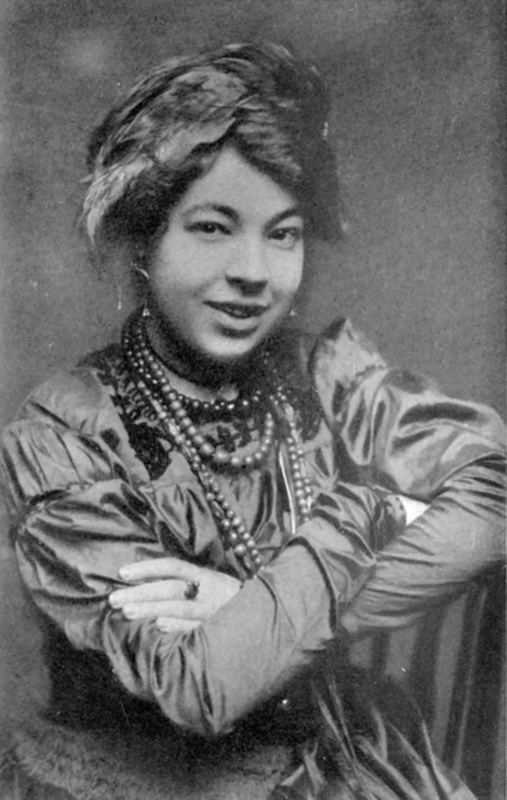 Pamela Colman Smith’s work revolutionized the tarot, because now people could relate to the symbols and arrangements on the cards. They could be inspired by them, and see whatever they desired in the scenes. Waite and Smith’s use of detailed images made it possible for anyone to understand the meanings of the cards. It was not necessary to have any magical powers to read them, although a person with more developed psychic abilities will draw more information from them in a reading. It is a shame that Pamela Colman Smith never got the recognition she deserved for painting all the images which help tarot readers better understand the cards. The Rider Waite Smith Tarot deck is the most beloved in the world. She received only a token payment for all her work, which was a very difficult job. She continued painting, but slow sales and a lack of money left her disillusioned. She passed away, penniless; disappointed that her paintings and writings never had the commercial success she sought. This writer is going to try to call the tarot deck the Rider Waite Smith Deck all the time now too, to honor Pamela Colman Smith, and her artistic talent that gave us the lovely deck we use today. She would be shocked to find how much her work came to mean to millions of tarot card readers all over the world! It is because of Pamela Colman Smith’s talent that readers can put into words what her artistic mind saw, and that the Rider Waite Smith Tarot Deck is the standard by which all tarot decks are judged today! Thanks for reading and commenting. There are so many great deck to chose from, but I always end up back with the Rider-Waite. Take care. My favorite deck! Nice article! Great to see you as usual, I will message you. Thanks for commenting! Excellent article, Jean, especially the information on Pamela Coleman Smith. I agree the deck should be referred to as the Rider-Waite-Smith deck. Voted up and shared.